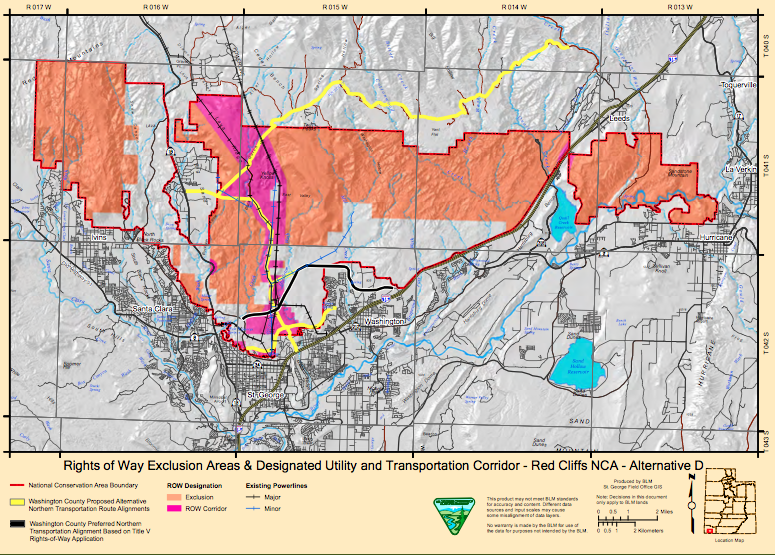 A draft resource management plan issued by the Bureau of Land Management-Utah for the Red Cliffs National Conservation Area does not list the county’s optimal route in its “preferred” alternative. The Dixie Metropolitan Planning Organization, a regional planning authority, has proposed a northern corridor route that would run from Interstate 15 at Washington Parkway to Red Hills Parkway east of the new intersection with state Route 18 north of Bluff Street. Alternative B, the BLM’s preferred alternative, does not include any new transportation routes. However, Alternative D includes several routes in a 6,350-acre utility corridor which includes rights of way for power and water lines. 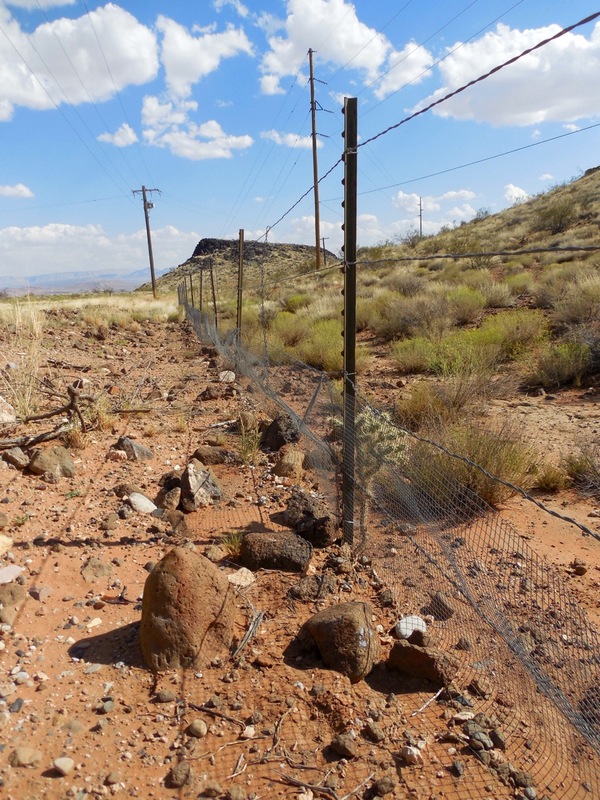 Local officials have stated that the draft plans do not include the county’s preferred northern transportation route at all; BLM St. George Field Office Manager Brian Tritle, however, said that’s not the case. Transportation planners have considered several northern routes over the years, and all of them, including the county’s preferred route, were included in Alternative D, Tritle said. By including several routes in the draft plan, the BLM is showing the potential impacts of actions in those areas. Any route that is not considered in this stage of the planning process could not become a reality, at least for the life of the management plan, which is typically 20 or more years. “I think it’s in the county’s best interest to have those multiple routes still in play at this point, because this (RMP) is not the be-all and end-all,” Tritle said. Dixie Metropolitan Planning Organization Director Myron Lee said in an earlier interview that the BLM’s draft management plan states a much higher impact on the Red Cliffs National Conservation Area than MPO planners believe is accurate. Tritle said that doesn’t matter, because the proposed final plan can include options from any of the alternatives in the draft management plans. The alternatives A through D each have themes based on the level of allowed human uses. To get a specific road built, the BLM would first have its own biologists analyze the impacts, and the BLM would then have to seek a biological decision from the U.S. Fish and Wildlife Service. 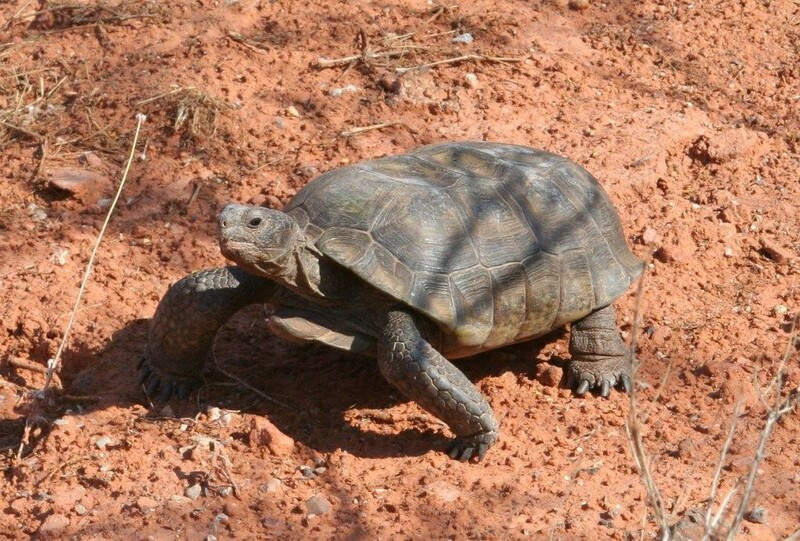 The issue is complicated by the fact that the county’s preferred northern corridor goes through desert tortoise habitat set aside by a Habitat Conservation Plan, land which is part of the county’s mitigation for tortoise ‘take’ in other areas of the county. Also, some of the land in the county’s preferred northern corridor is still owned by private landowners who need to be compensated for their land with money or land exchanges, National Conservation Area Manager Dawna Ferris-Rowley said. For the northern corridor to become a reality, Tritle said, the final resource management plan would need to say it was an acceptable alternative. Then, BLM would work with the county to issue a right-of-way grant, and an acceptable biological opinion on the project would need to be issued by Fish and Wildlife Service. Rather, it will be Fish and Wildlife biologists who make the determination of whether or not something jeopardizes the tortoise habitat. However, there is room in the process for negotiation, Larry Crist said at a Habitat Conservation Advisory Committee meeting Sept. 22. 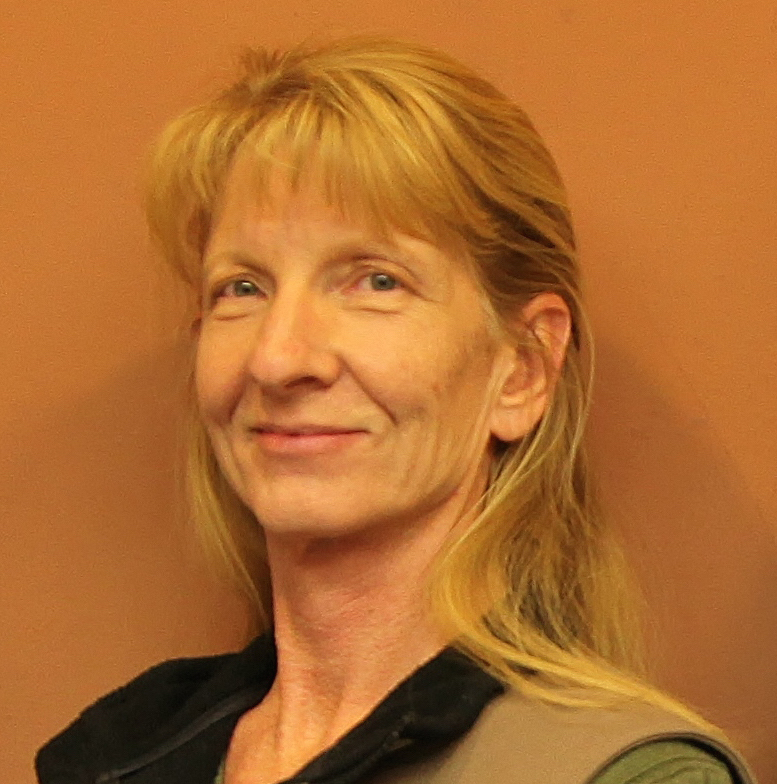 Crist represents the Fish and Wildlife Service on the advisory committee. “Usually we’re able to work something out,” Crist said. Building the northern corridor through sensitive habitat would involve a separate environmental impact statement, Tritle said. The resource management plans can allocate the land as a corridor, but not approve a specific road project. 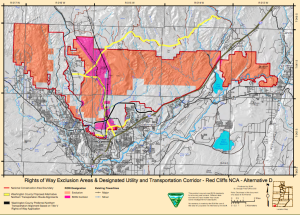 Citizens for Dixie’s Future, a local conservation advocacy group, opposes any new transportation route through the Red Cliffs Reserve in Washington County. “There are a lot of reasons it’s a bad idea, but the primary one is, this is supposed to be protected land,” Susan Crook said in an earlier interview. Crook is the Public Lands Conservation Program Manager for Citizens for Dixie’s Future. Building a road through the reserve would be detrimental, Crook said, to the views, scenery, habitat, recreation, scientific and cultural resources – all the values the reserve was created to protect. 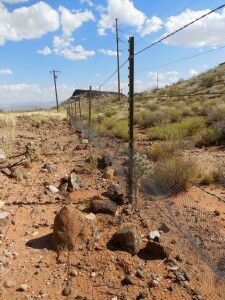 Citizens for Dixie’s Future is in favor of protecting the Red Cliffs National Conservation Area and preserving the habitat for the tortoise, while balancing those uses with recreation if possible. The group believes building the northern corridor would cause harm to the desert tortoise habitat, and that mitigation is not possible. Crook believes traffic engineers and transportation planners should be more creative in trying to solve transportation needs in Southern Utah, she said, and find solutions other than the northern corridor. ‘conservation’ is the dirtiest word in a mormon-republican’s vocabulary..
so basically you agree with the orig statement, fornicater? I certainly hope that when Larry Crist says “we can usually work things out” that does not imply that USFWS would be willing to roll over on the issue of the Northern Corridor. There is no way that the road preferred by DixieMPO, commissioners and other local leaders would be in keeping with the mission of the NCA and Reserve. We need agencies that are willing and able to stand against strong local political pressures to do what’s truly right. Our community will not be diminished by not having this contentious road. It will instead be bolstered by keeping this area pristine for current and future generations to enjoy. Don’t worry, the good old boys at USFWS will trade land with BLM, BLM will trade with SITLA, and SITLA will sell prime housing development land to the $nc*s, &e%%i%gs and what not, for the children, don’cha know? Are we saving the desert tortoise or not? I love the desert reserve. I see tortoises out there all the time. I think an access or frontage road would be a excellent idea, more access points with parking areas would benefit the general public, the general public are the tax payers who actually own this to begin with, not a couple of tree huggers that don’t want anyone to be able access the area. Another idea would be to build some nice blacktop bike trails in and around the reserve, so more people that actually paid for reserve (the tax payers) could enjoy the reserve, and use reserve budget dollars for the trails.